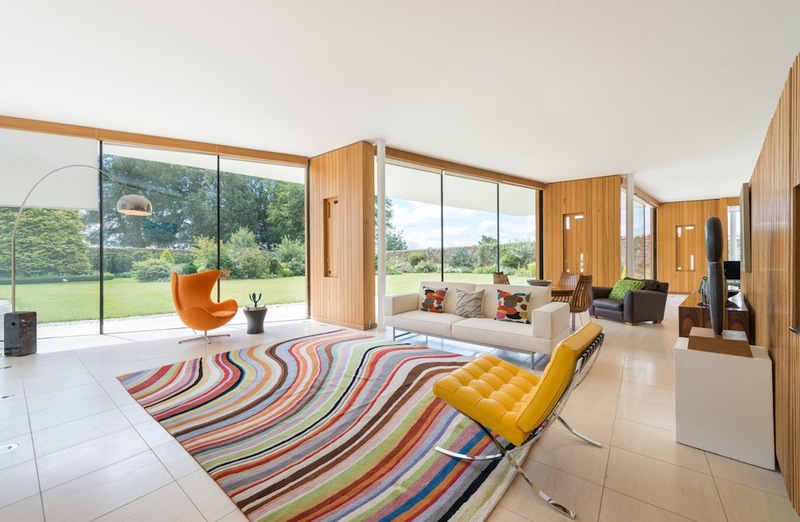 The Duncan House is one of those properties that makes you stop and look. 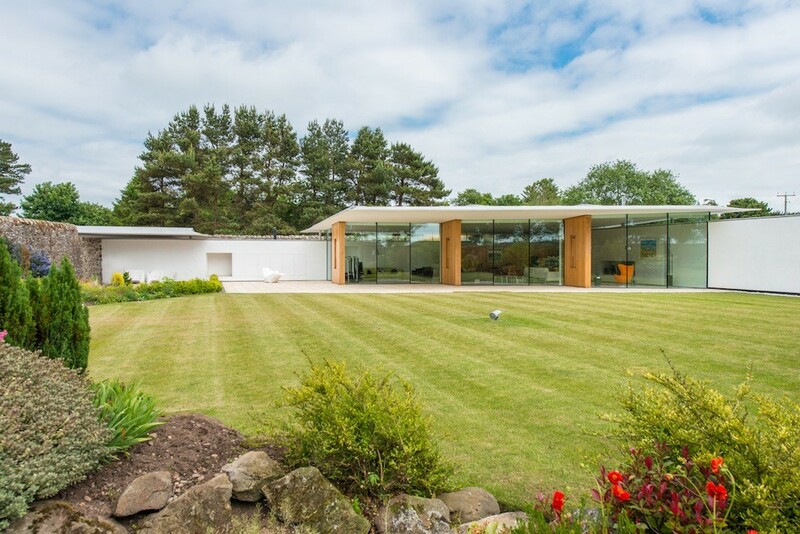 There’s the striking architecture with the extensive use of glass and the dramatic sweeping roofline; the giant boulders integrated within the external landscaping as you approach; the contemporary interior style with its beautifully crafted timber detailing; and the setting within a historic walled garden – any of these elements might make you stop, but put them all together and you have a very distinctive and unique home. Back in 2008, Ian was looking for a second home in Leicestershire, where he grew up. 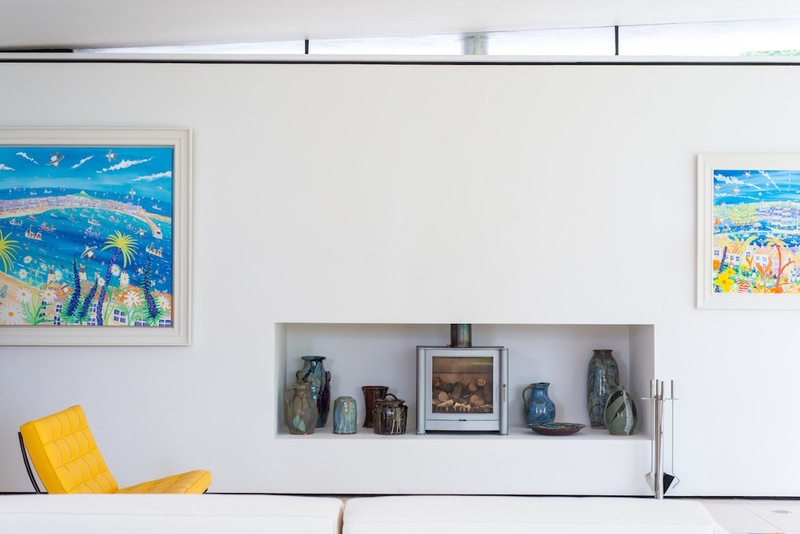 Ian is co-founder of the Cornwall estate agent Lillicrap Chilcott, so he sees his fair share of properties through his professional life and it takes something really special to stand out. 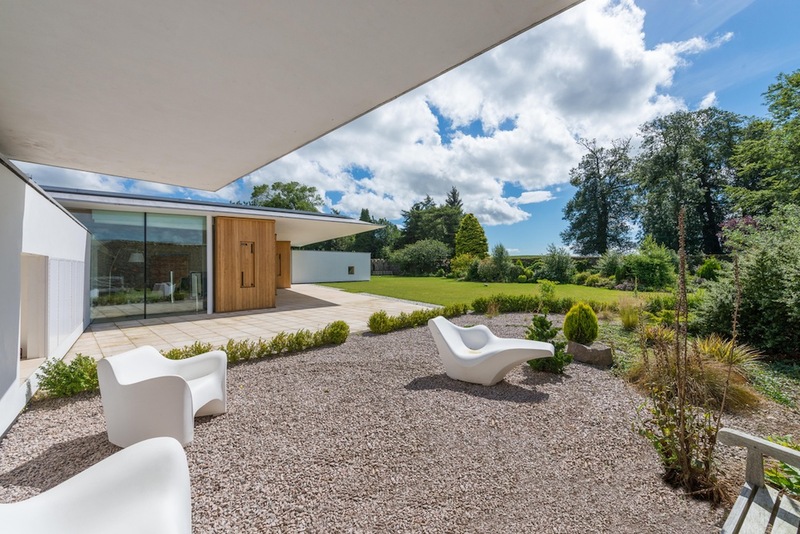 The Duncan House, which is now on the market with joint selling agents CKD Galbraith and The Modern House, is situated at Ladybank in Fife, just sixteen miles from St Andrews. 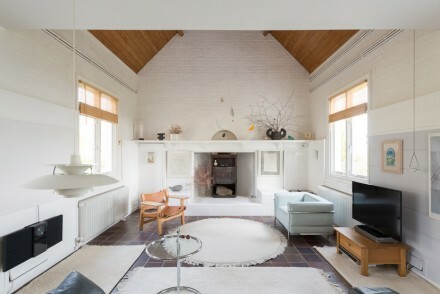 This was hardly Ian’s target location, but then, as he says: “This house was to die for.” And, he reasoned, why not have a home in a new locality that he hadn’t explored. As he says: “I can be on a 7am flight from Exeter to Edinburgh and be sitting in Starbucks in the city centre at 8.30am.” Going direct from Edinburgh Airport, it’s about an hour’s drive to Ladybank. 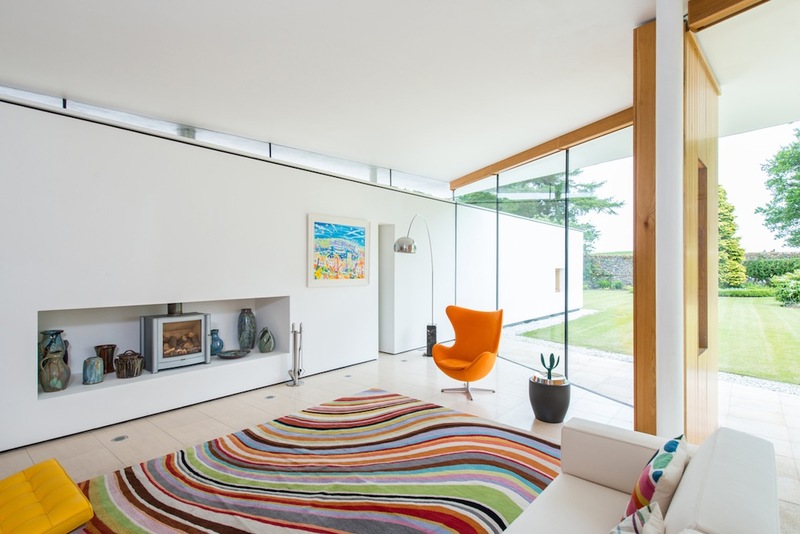 The Duncan House was built in 2002 and was designed by one of the UK’s most respected architects, Gareth Hoskins OBE. 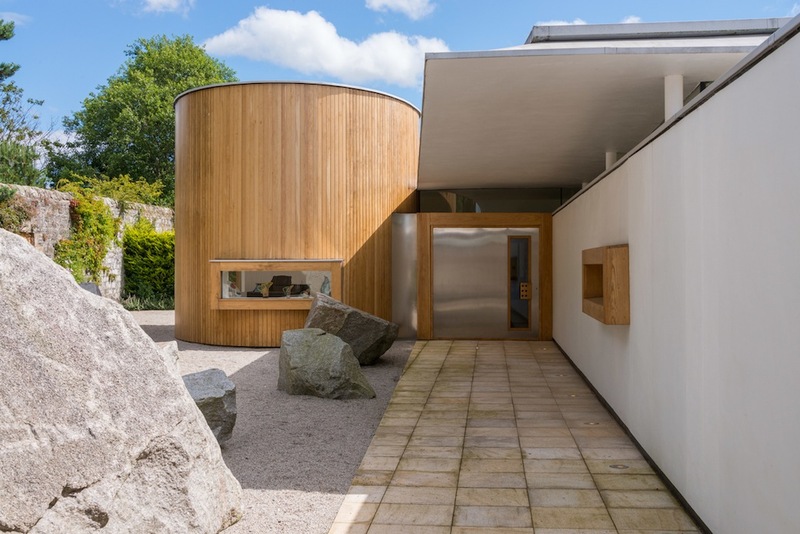 In recent years Hoskins Architects has designed a number of headlining projects including the redevelopment of the National Museum of Scotland in Edinburgh, and the practice’s ongoing work is no less exciting, from projects at the World Museum in Vienna to a new home for the National Theatre of Scotland in Glasgow. 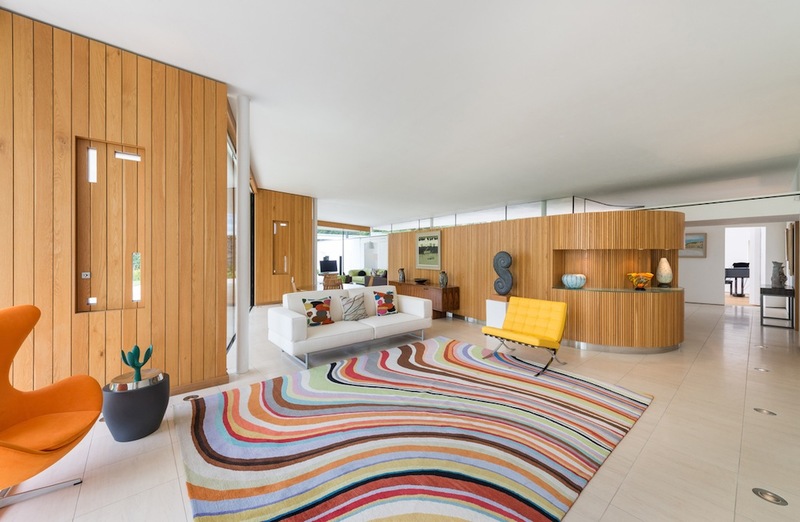 The Duncan House was the first private home Hoskins’ designed after starting his practice. 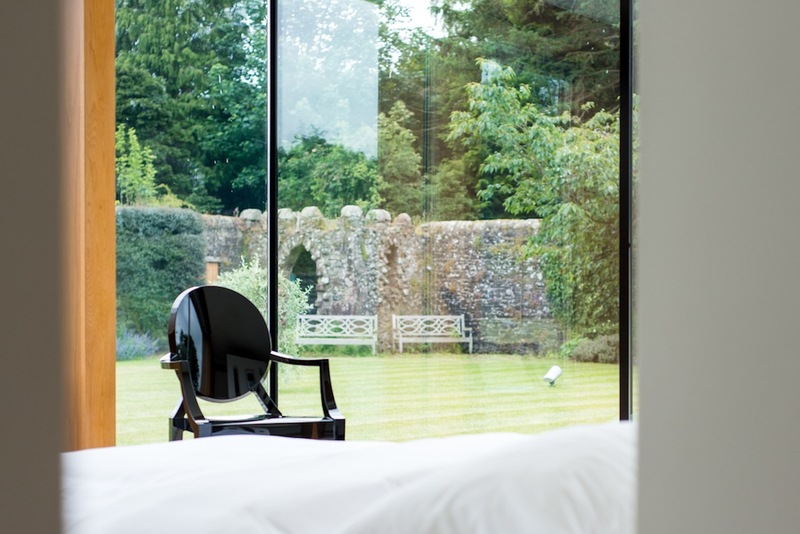 The house sits within the former walled fruit garden of Kinloch House, and although there are neighbouring properties, this building is tucked privately behind its historic walls. As Ian explains: “The original owner liked the architecture of Mies van der Rohe and wanted to have a house that was reminiscent of the Barcelona Pavilion” – a building Ludwig Mies van der Rohe designed as the German national pavilion for the 1929 Barcelona International Exhibition. 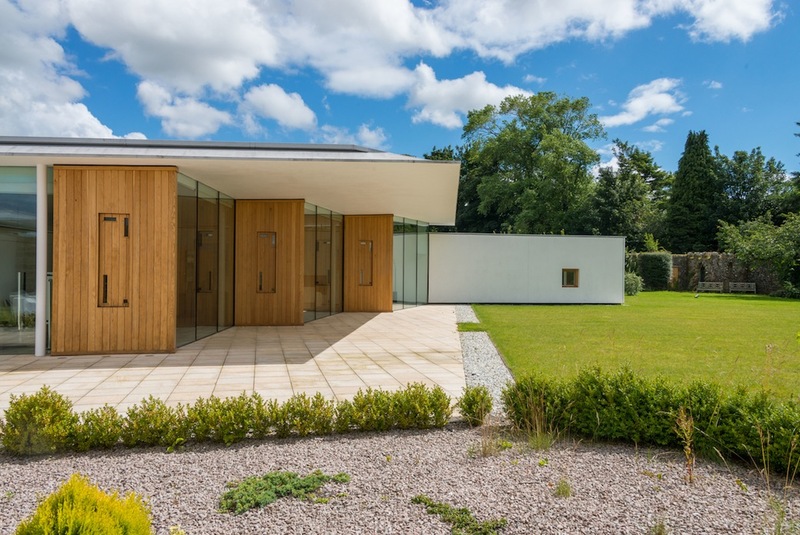 The house has two distinct zones: the main reception room that extends to a staggering 47ft and incorporates seating, dining and kitchen areas, with entirely glazed elevations on the south and west; and the bedroom wing, which extends along the east elevation, with three bedrooms, including the master suite. 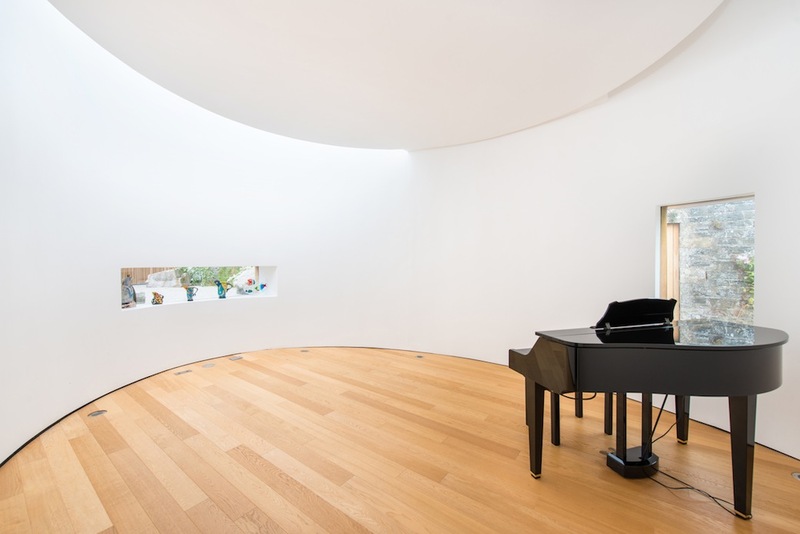 The reception hallway joins these two elements and leads to the oval drum room: a soundproofed music room with a glass skylight, and with a low-level boxed rectangular window – a design that has created the perfect acoustic environment. 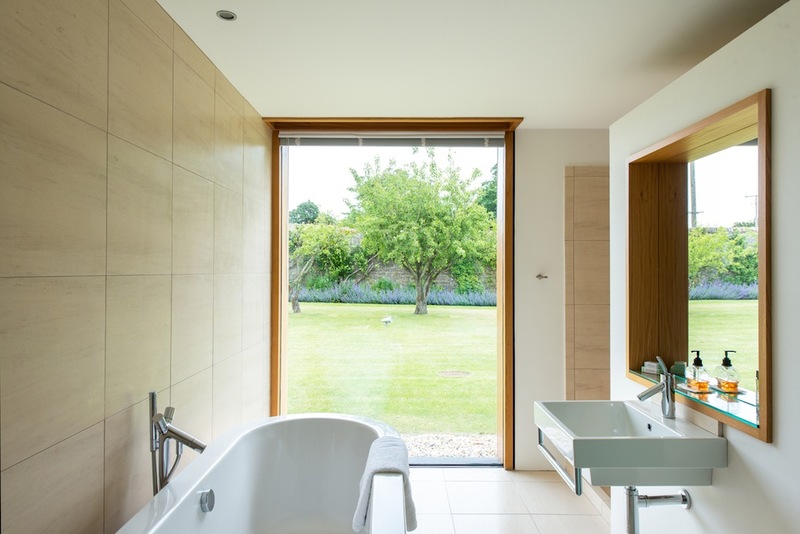 Externally, this section is clad in oak, and oak cladding frames the ground-to-ceiling windows in the bedroom wing, while the living section is defined in crisp white render with a dramatic extended roofline that provides a deep overhang, shading the glazed elevations. 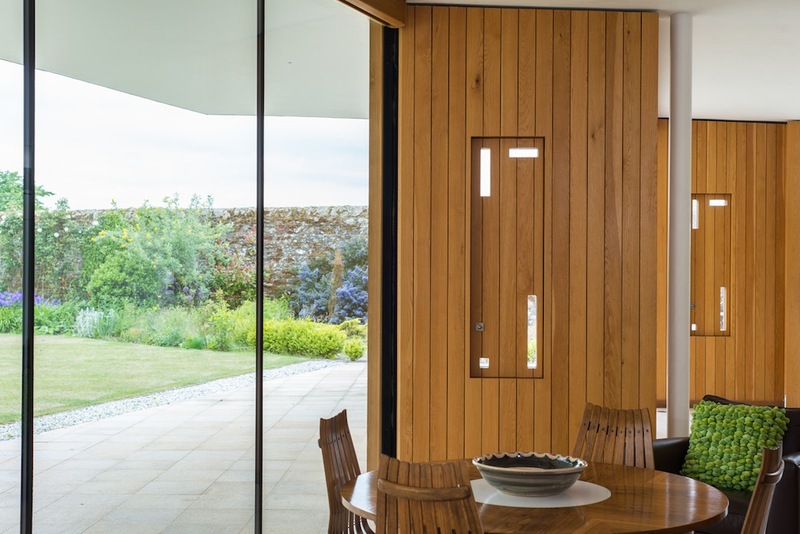 The original owner also turned to a local furniture maker Max McCance who constructed the hinged oak panels that separate the full-height windows in the main living space, forming doors to the garden, and McCance made other timber features throughout the house. 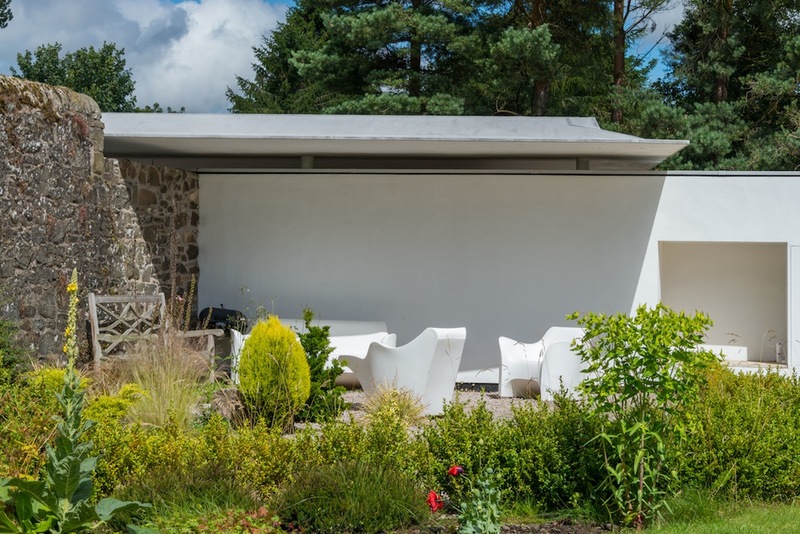 There’s integrated Lutron lighting, and there’s also lighting throughout the garden and illuminating the massive boulders as you approach up the drive. 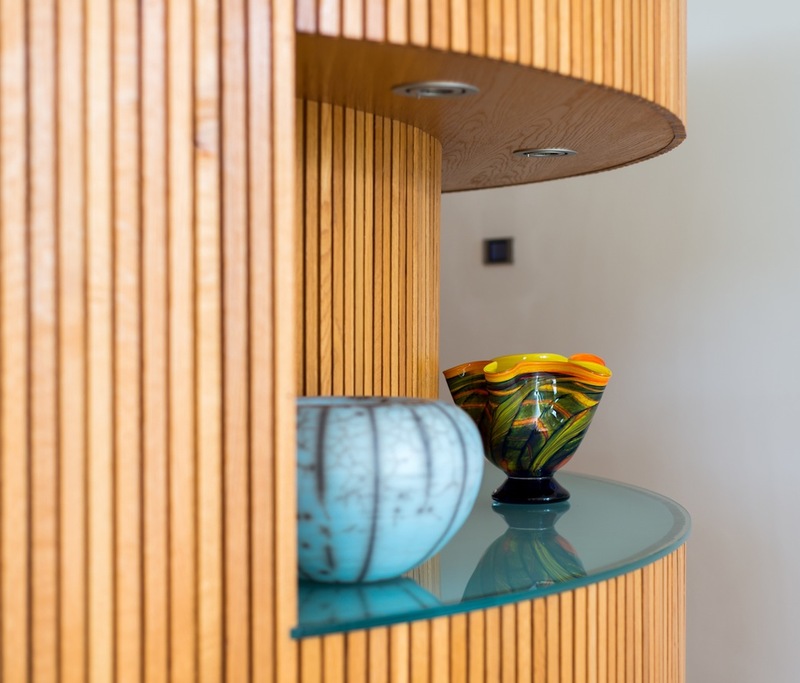 Every detail in this house has been as carefully considered and refined. 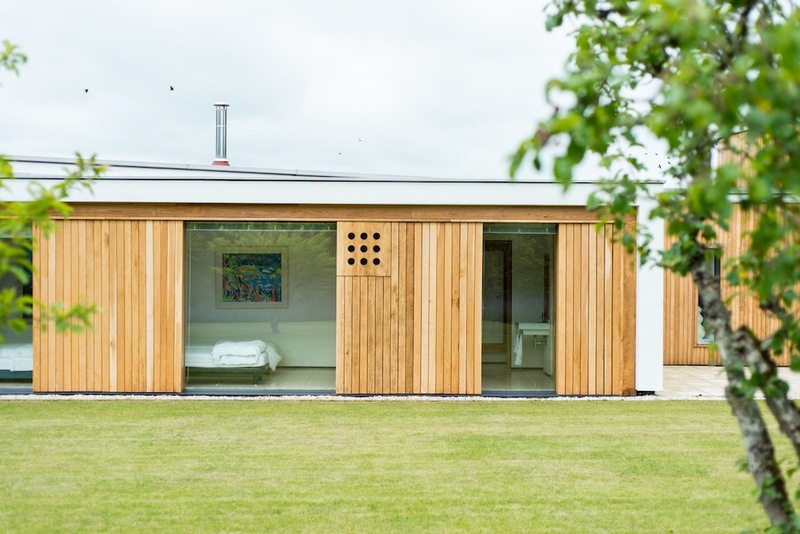 Ian has also invested significantly in the property since he arrived – although you wouldn’t realize this, which was the point as the improvements Ian made look original. 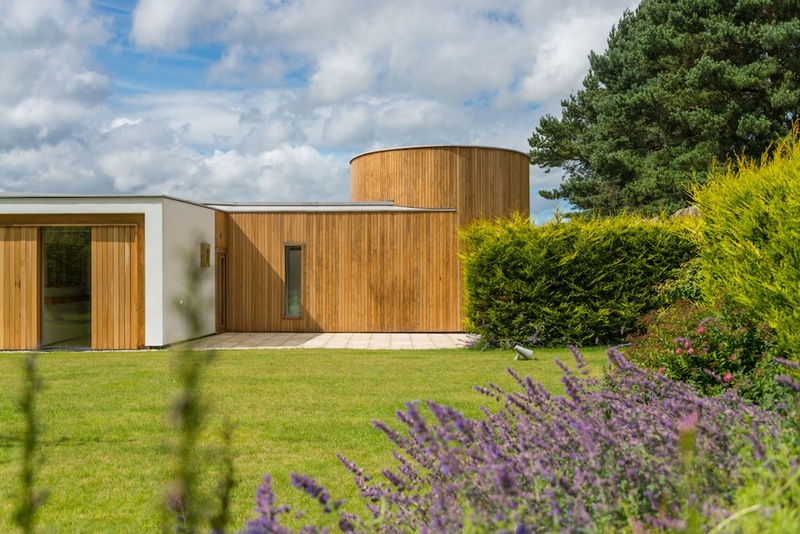 “The weather had taken its toll on the oak cladding and the right product hadn’t been used on it from the start, so this was sanded and refinished and sealed,” he says. 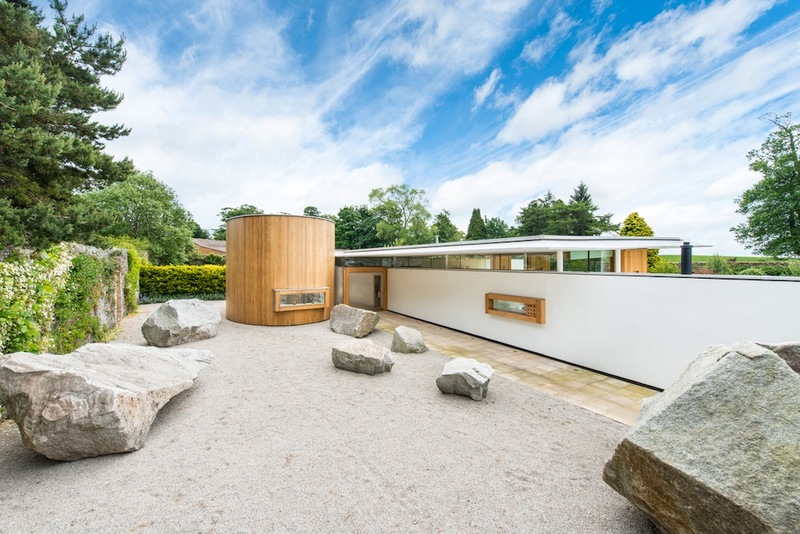 To achieve this, much of the cladding was removed by the contractor, Stuart Niven & Sons from St Andrews, and taken to their workshop to be treated before being reinstated. 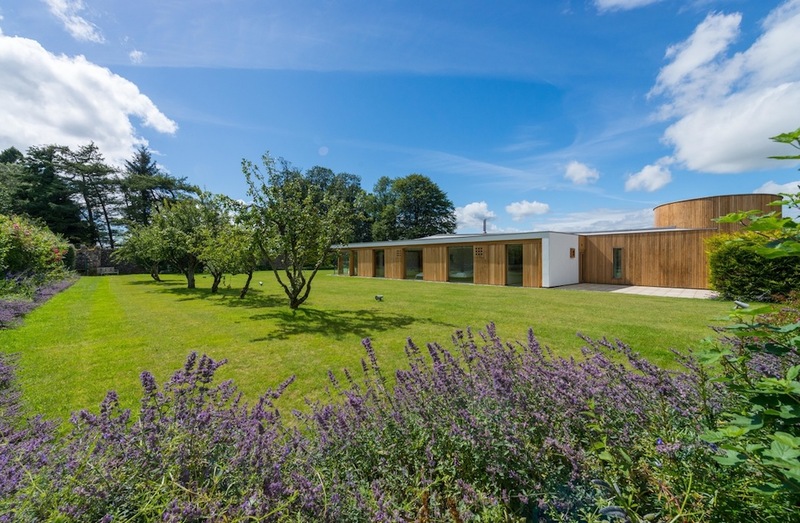 The internal flooring is limestone – other than in the kitchen and drum room which feature oak flooring – with underfloor heating throughout. Originally this limestone had continued outside on three sides of the house, with a broad terrace on the south side, but this material hadn’t fared well with the cold weather. Having used granite when creating terraces areas on another house, Ian specified the same finish here only in the same colour as the limestone. 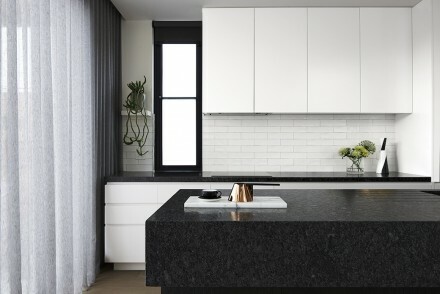 “Originally, all the lines in the tiles had extended through the windows from inside out, so the contractor had to cut a few millimetres of each slab of granite to replicate this,” Ian explains. Ian also transformed the garden. 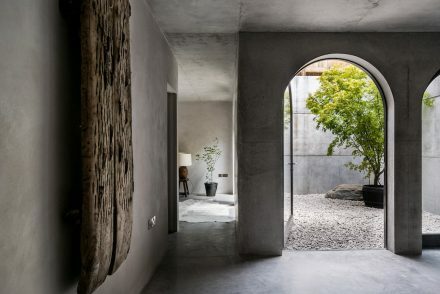 “When I arrived the garden was simply lawn, so you had the contrast between the architecture and this green carpet and the wonderful stone walls,” he says. 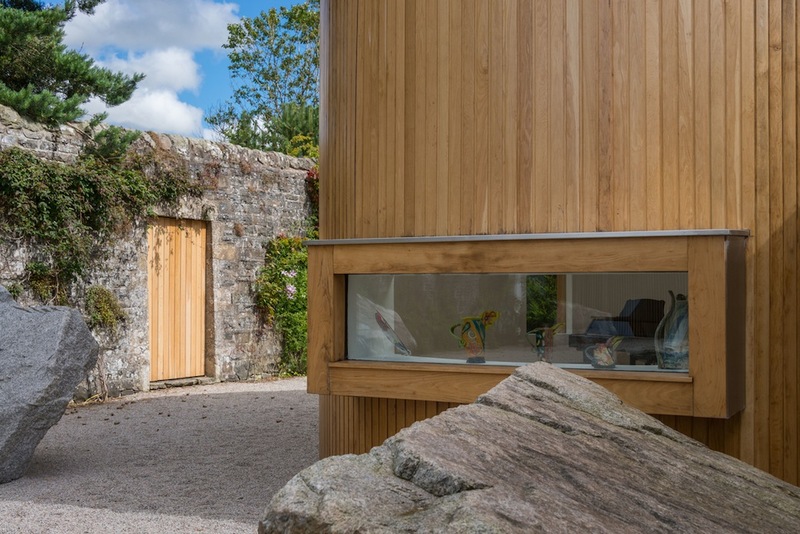 “But I love gardens, so I had this professionally planted over a period of four years, and the company I used brought in an expert on herbaceous borders.” The new elements have been seamlessly integrated with the original fruit trees, while those stone walls are now lined with climbing plants. 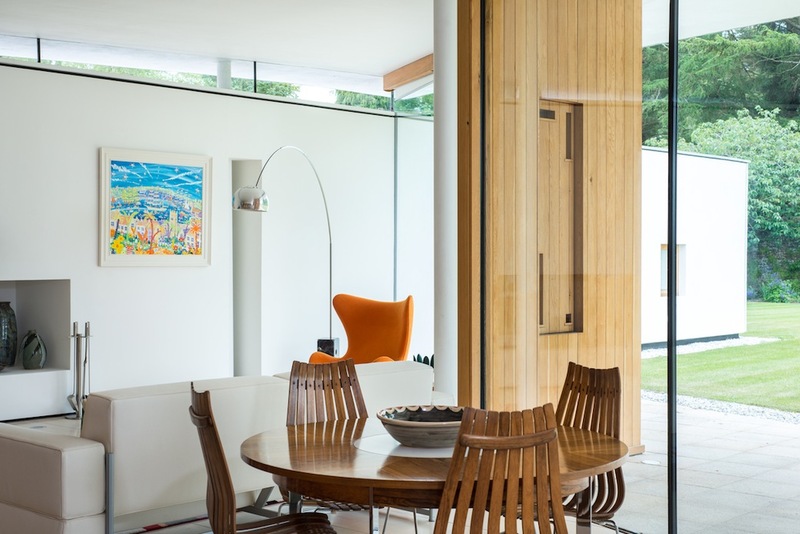 The result is a combination of contemporary and midcentury design with artworks and handmade pieces that blend to create an entirely individual interior – as befits this entirely individual house. 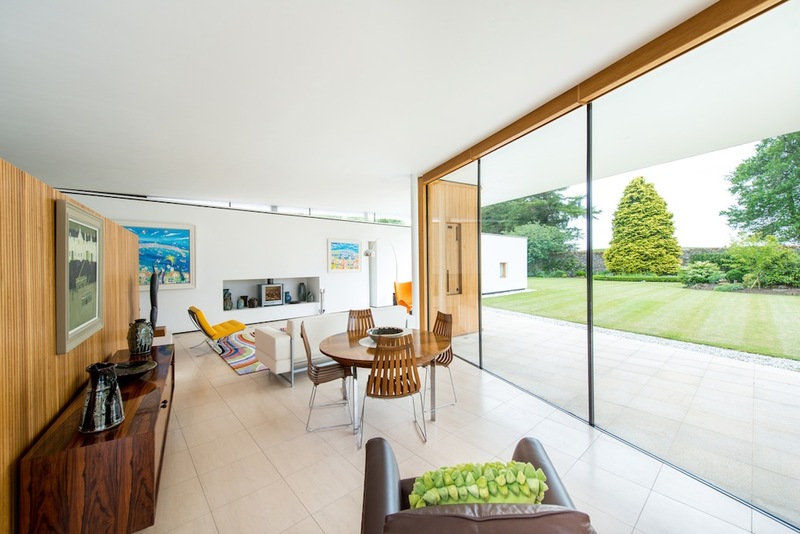 The Duncan House is being marketed by joint selling agents CKD Galbraith and The Modern House. Photography by Exposure, via CKD Galbraith.